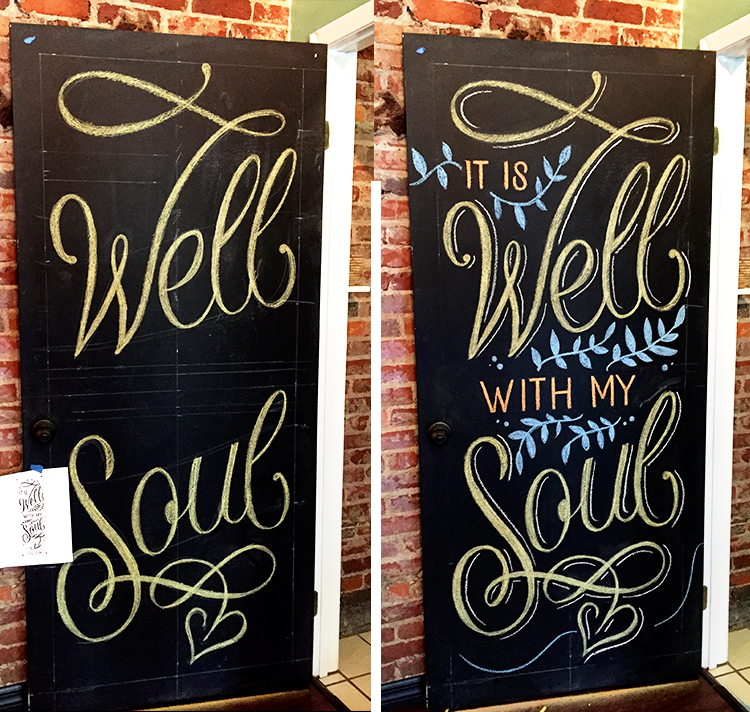 I had the pleasure of creating this hand lettering chalk mural installation for The Body Electric Yoga Company – A local yoga studio in the city of St. Petersburg, FL. The goal with this installation was to allow the message to bring a sense of peace to the studio and remind the students that no matter what is going on with their daily lives, their spirit/soul is well. The beautiful thing about this quote is that it has an universal meaning, each person can relate to it in different ways but shares one happy experience. The installation was hand crafted with lettering using colored chalk. Below are some pictures of the process and the final design. Newer PostNew Work: The Kimono Cart - Lettering Logo Design and Hand Painted Signage. Older PostHow To Digitize Your Hand Lettering and Create Stunning Images combining Photography and Textures Using Analog Tools and Photoshop.